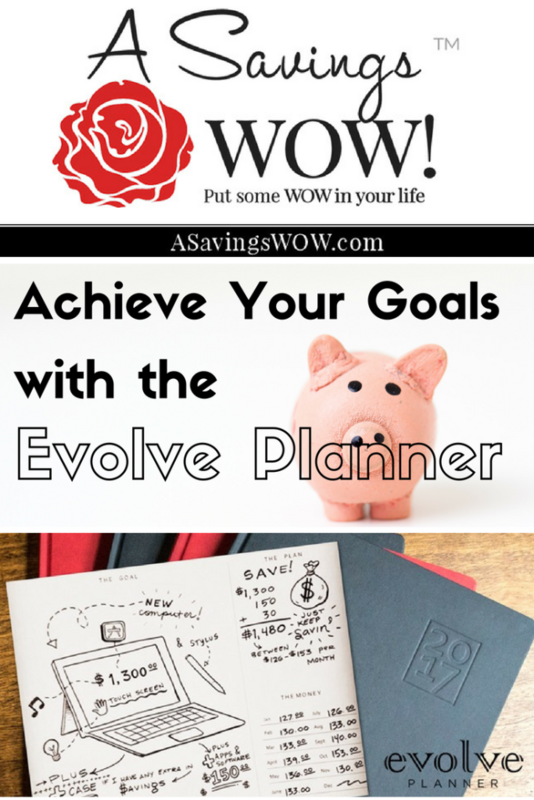 Evolve Planner | A Savings WOW! As you look towards the upcoming year, you are probably looking into tools to help you achieve your goals easier and more effectively. Andrea de Fraga, a professor at Columbia College, has designed a one-of-a-kind planner that lets you plan, manage, and achieve your financial goals as well as personal ones. The Evolve Planner includes a monthly calendar, weekly schedule, goal visualizer, and spending plan. You’ll be able to set your goals and keep track of your progress through visualizing your goals, making a plan, and staying accountable. Join Andrea de Fraga for a Facebook Live event on Tuesday, November 22 from 7-8 pm CST where she will share how the Evolve Planner can help you organize your life, make smart money decisions, track progress and achieve your goals. 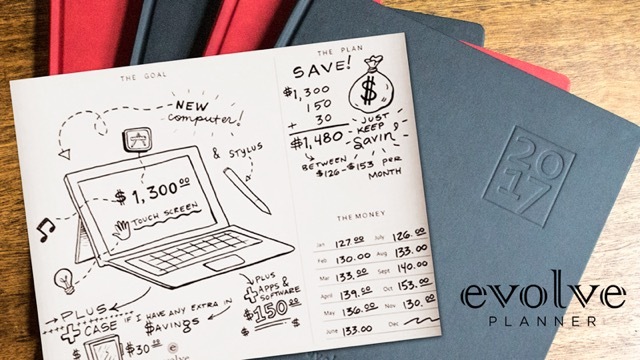 How can you get your own Evolve planner? Support the Evolve Kickstarter campaign with a pledge as low as $25 to get your own Black or Ruby Red 2017 Evolve planner PLUS you’ll also receive the undated PDF version to start evolving right now!